Since the beginning of man, fire has been central to the home. A necessity from the start, it can stave off the cold, serve as a light in the darkness and aid in the preparation of countless meals. Used mainly now to create a sense of ambiance, the fireplace – or hearth – remains at the heart of most major living spaces today. The mantle often sets the tone for the décor in the room – many now dominated by flat screen TVs in place of artwork. From ornately carved woodwork and marble to repurposed rough-hewn timber and stacked stone, the hearth is also central to the feeling of the space that surrounds it. 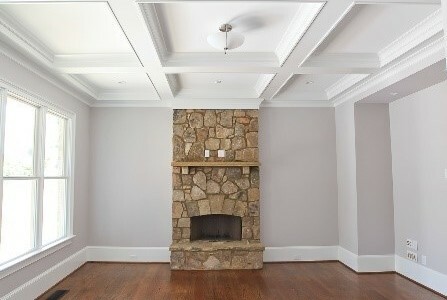 One home may feature a traditional fireplace adorned with beloved family photos, while another may boast a floor-to-ceiling stone hearth with a minimalistic slant towards interior design. 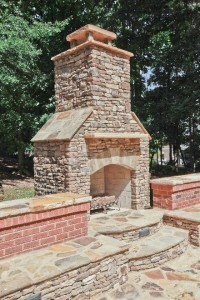 And with many homes extending their living spaces outside, the outdoor hearth continues to gain steam as a popular addition to exterior “rooms” of the home. 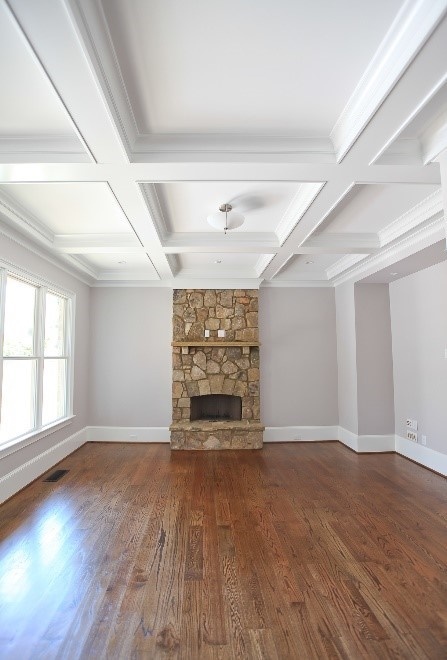 When constructing a semi-custom or custom home, bear in mind that your fireplace should fit the overall aesthetic of your home. 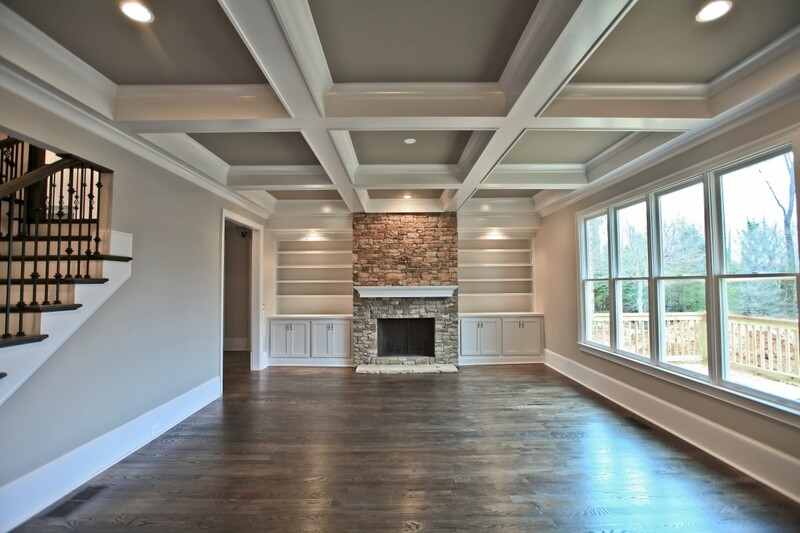 For example, a more traditional Craftsman-style home might prove a great fit for a rustic stone fireplace with timber mantle whereas a Contemporary-style home might call for a more modern firebox with clean lines and smooth, sleek finishes. Functionality is also a major consideration. Traditionalists may prefer a wood-burning fireplace, but gas logs continue to dominate the market for their convenience and affordability. As many homes become more technologically connected, some gas logs can be controlled via wireless remotes – plus there’s no need to sweep up ashes at the end of the day. 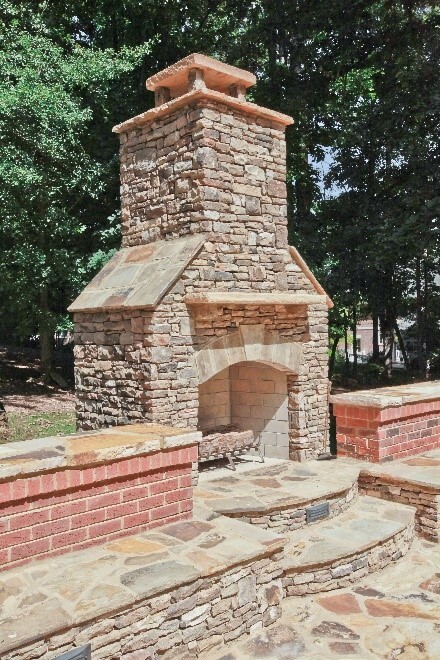 Outdoor hearths should also be a major consideration – whether a firepit at the center of a brick patio under the stars on a crisp, cool Spring night or a true showplace hearth set inside a covered deck for countless Autumn evenings spent watching the embers glow. 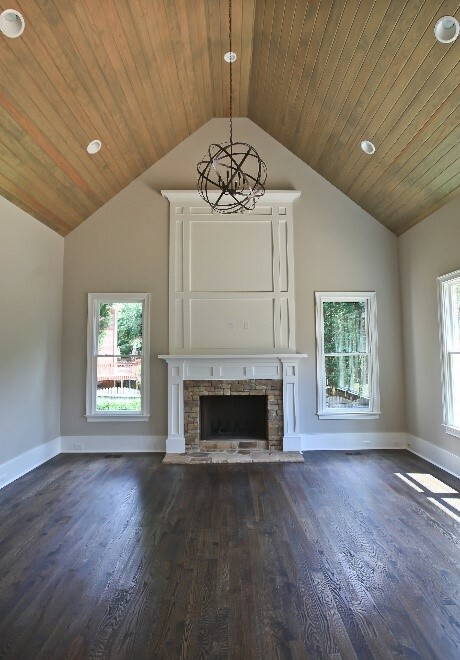 No matter what your vision of the ideal hearth to fit your home might be – a breathtaking addition to a two-story great room or a romantic enhancement to a master bedroom (or BOTH), Highlight Homes welcomes the opportunity to help you make that vision a vibrant reality. To schedule a consultation with a member of our custom construction team, call 678-873-9234, e-mail info@highlighthomesga.com or fill out our convenient online contact form. 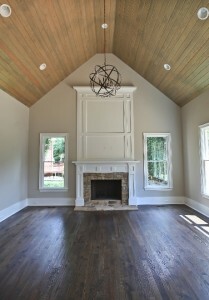 To learn more about Highlight Homes and view some of our work, please visit us at www.highlighthomesga.com.